You must have observed that lands of farmers are not in exact shapes of Triangles or rectangles or trapeziums or parallelograms. Still, we need to measure the area of lands. Similar is the case when we need to calculate the area of forests or catchments areas of rivers. (For example 1cm = 1meter, 1cm = 100 kilo meters..). 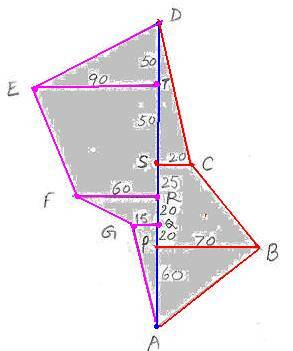 Use suitable scale and formulae to calculate the area.